Georgina Harris is fed up. She is bored with her job, and her social life; disillusioned with her life in general. On a particularly bad day, she quits her job and impulsively books a ranch holiday to Montana. Unsettled by her life, she is moved by the beauty of the Montana ranch, Prairie Point. 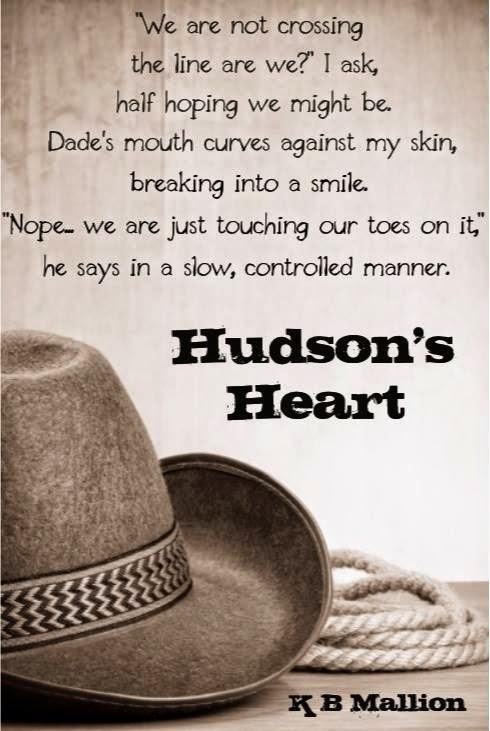 With a new sense of belonging that she has never known before; she meets a mysterious, intensely charismatic cowboy, Dade Hudson. A cowboy who helps her discover the inner peace she has been longing for. 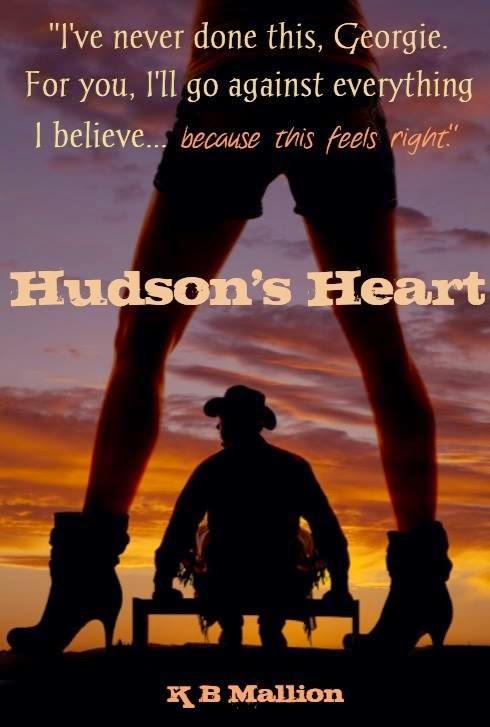 A cowboy, who it seems, is fated to take her on the ride of her life… destination, Hudson’s Heart. By the time we get back to the ranch, although I am blissfully tired, I don’t want this day to end. I have started to miss him, already. I haven’t even got off my bloody horse yet, and I’m already missing him. Yep, seriously need to get a f***ing grip! “How was it ma’am?” The mature rancher from earlier is there to greet us both in the gravelled drive. “Amazing.” I swoon, wearing a ridiculous gooey expression on my face as I dismount. I move around the front of Shadow. “It certainly is. I’m sorry, I don’t know your name?” I offer my hand to the lovely old guy. “Right back at ya, little lady,” he chuckles to himself. I turn in Dade’s direction. “Thank you. I have had a wonderful time,” I say, leaning my head against Shadow’s neck. “My pleasure, Georgie. I’ll catch you later, okay?” He gives me the biggest, most handsome smile. I instantly weaken… pathetically weaken. He is never going to be able to catch me from the height that I am falling! I think to myself, whimsically watching him walk away. “You’ve made quite an impression on our Dade,” Seth interrupts my dreamy thoughts. “I’m sorry?” I look over Shadow’s shoulder at Seth, intrigued by his comment. I move closer to Seth. “I don’t understand what you mean,” I confess, with a blank look and slight head shake. “What I am telling you, is this young’un. He went out with all the other guests this morning, yet he asked to take you out this afternoon. He never goes out twice in one day. Yup, he’s taken with you, for sure.” Seth enthusiastically pats Shadow, his piercing blue eyes still resting on me. I shyly look down at the floor with a fluttering in my stomach. “Do you really think so, Seth?” I ask quietly. All I can do is smile the biggest, happiest smile ever. So maybe… just maybe, I am not imagining it after all? Could this insanely wonderful, charismatic, beautiful man… really have a seedling of a feeling for me? 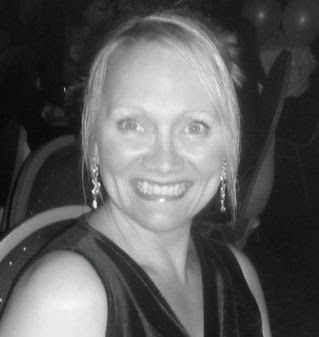 K B Mallion is a busy mum of six, wife of one and carer or Guinea Pigs and a dog. She is a British author who lives in the South West of England. Her literary Journey began with the release of her debut novel, A Famous Affair, in December 2014. 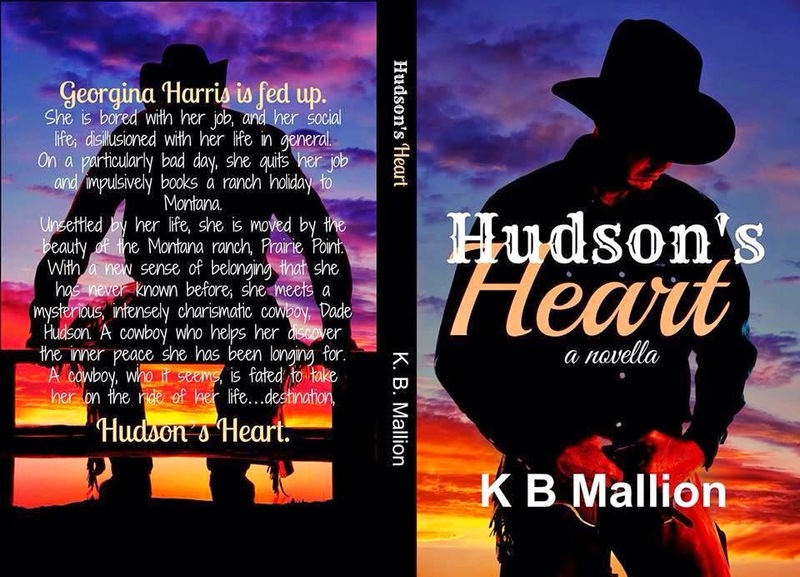 Hudson’s Heart followed in February 2015, with many more stories needing to be written by her Mallion mind. Away from her writing, K B loves to read, spend precious time with her family and a spot of karaoke!